I’ve recently been thinking about the difference between community development and community work, and the importance of being clear about which is appropriate for a given context. These are fairly initial thoughts so I’d welcome any feedback or comments. Each of these fields of practice have different approaches, emphasise different practice skills, and have different priorities. Each of them are important and have their role. Like the other fields of practice, community work covers a very broad area and can include community engagement, health promotion, community organising, community housing, community education, and community development—to name a few. One of the defining characteristics of community work is that the focus is on the collective rather than the individual [1, 2]. The emphasis is on strategies that make a difference at a community level and that help build the capacity of communities to address specific issues or to build community capacity and wellbeing. While terms such as “community work,” “community practice,” “community organising,” “community development”, and “community engagement” are sometimes used interchangeably, they are not the same and can have significant differences. Community work and community practice can be seen as referring to the broad approach to working with communities, while the other terms refer to more specific ways of working. A commitment to empowerment to ensure that people have opportunities to make choices about the actions they would like to take and have the ability to have those choices implemented. A commitment to social inclusion so that all individuals and groups are able to participate fully in and befit from the social, economic, and political activity of society as a whole. A commitment to advancing human rights recognising the inherent value of each person, regardless of background, where we live, what we look like, or what we think or believe. A commitment to social justice in terms of the distribution of wealth, opportunities, and privileges within a society. The desired long-term outcomes usually include change at the neighbourhood or community level. While bottom up approaches to community development, such as asset-based community development, has much to teach community workers more generally, community development is not always the most appropriate approach. This was recently drawn home to me in some work I have been doing with workers who predominantly provide programs and case management. We have been discussing how they can have a greater focus on community development, but have been struggling with some parts of it. For example, they are funded for a specific purpose, so what should they do if they undertake an asset mapping process and help determine community priorities, but these priorities are not consistent with the priorities of their work? I realised that it became much clearer if we started thinking about their role in community work rather than community development. There is no doubt that they have a role in working with communities to create change that supports not only the families they work with, but also other families in similar situations. By focusing on strengths-based, bottom-up approaches to community work, they can work with communities in empowering, supportive ways that are characteristic of community development, but they can still maintain the focus on what they are funded for. One of the skills they will need to develop is how to really listen to the priorities of the communities they work with (recognising there can be competing interests in communities) and how they can be led by the community, while also encouraging community members to think about the issues they are funded to address. I some ways changing from a focus on community development to community work is quite a small change (and some might say a backward step), but I suspect it is going to make a big difference in helping them clarify their role in working with the communities they serve. Types of community engagement – creating boxes? Chanan, G., & Miller, C. (2013). 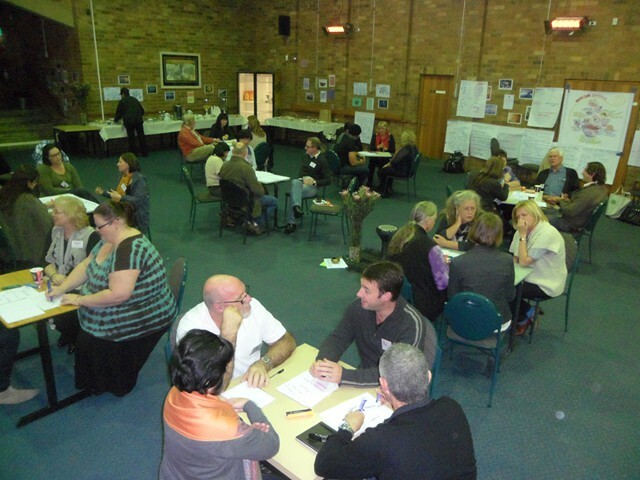 Rethinking community practice: Developing transformative neighbourhoods. Bristol: The Policy Press. Taylor, J. (2015). Working with communities (2nd ed.). South Melbourne: Oxford University Press. Westoby, P. (2014). Theorising the practice of community development a South African perspective. Farnham: Ashgate Publishing Ltd,. This entry was posted in Working with communities and tagged Community development, Community work, For students. Bookmark the permalink. Thanks Graeme, I am about to start as a Community Work tutor at UNSW and this is a really helpful explanation to frame discussions with students. I think I am getting too old to give my opinion because I worked, studied, funded, organized too many groups that their names became obsolete. It appears that whoever has the money wins. An interesting piece of news caught my interest yesterday as the Eurpean Union decided they would be trading partners with countries that signed the Paris Accord. It has taken decades for this to occur and I was helping collect climate data from farmers since 1976 but the farmers almanac has been in print much longer than that. Farmers and nomadic people understood climate, sustainability and community long before now. Tonight I am likely rambling as I am hearing continuously about trade talks, economics, community xyzbut. Water is being taken for granted, governments think in short terms, while bees are dying, soil is dying and what do we do? We need to change how we behave. I liked taking action by being involved in a lot of organizations and earning trust and respect. That meant finding money, knowing people and when a need arose people contributed sometimes saving a heritage building, repurposing it, and filling a need. Today I need help because I want to do a doctorate on peace healing. I am bedridden so it has to be done from bed, be funded and done with an open minded university willing to learn with me. I need a community to succeed. Please think about xyzbut. I am quite interested and this to be very educative, I have always wanted to study community development. I am so much interested in working with the community in support of children and families. as always a clear and usefully practical approach to these matters relating to community. This is really helpful thanks Graeme as we (Early Learning ) are embarking on a training module to support educators engage with community services to benefit and support children and families. It takes me back to caravan Park learnings.